Many companies are celebrating the last repeating number date of the century, 12-12-12, with sales, freebies and a very special benefit concert for the victims of Hurricane Sandy. Krispy Kreme has a special promotion going on for its Facebook page today – “like” the page and get a coupon to buy a dozen, get a dozen free donuts. Macy’s celebrates the unique numerological event with a one day sale featuring online specials for some men’s and women’s clothing at up to 60% off and select jewelry items up to 75% off. Details available at www.macys.com. Writers get a special sale today – up to 80% off from Writer’s Digest (www.writersdigestshop.com) in their Big Clearance Sale. The one day only sale features over sixty writing books for up to 80-% off their list price. 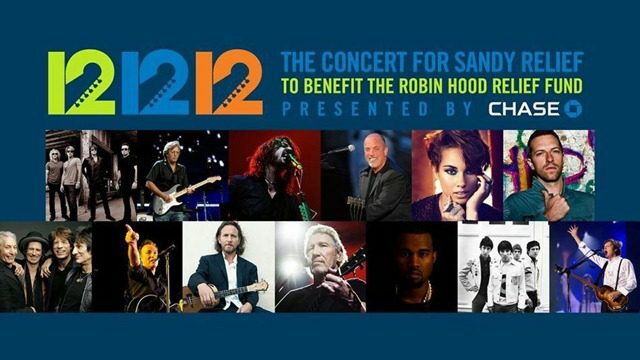 It’s not a sale, but the free music special “12.12.12 The Concert for Sandy Relief” takes place tonight in New York City’s Madison Garden. The list of performers is like a who’s who list of some of the greatest acts ever to perform music including Bruce Springsteen & the E Street Band, The Rolling Stones, The Who and Paul McCartney. Even the remaining members of Nirvana are getting back together for the first time to perform some of their hits with, it has been rumored, special guest Paul McCartney stepping in to perform with them. The concert will be broadcast globally and online (http://www.121212concert.org/). One hundred percent of the proceeds will go to victims of Hurricane Sandy thru the Robin hood Relief Fund. Many people are celebrating the 12-12-12 day with other events like weddings and specially planned births. In addition to the sales, freebies and 12.12.12 The Concert For Sandy Relief only happening on this day, its a very special day indeed. How are you celebrating the last numerological repeating date this century? Let us know in the comments below. What a line up! Pizza, beer and rockin’ music in the comfort of our home in the Black Hills! Thank you for the fabulous music and memories.